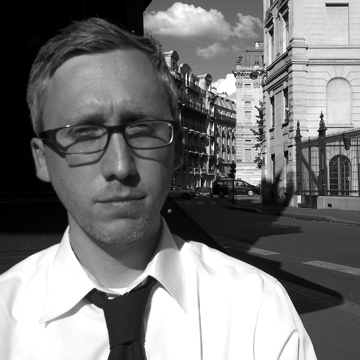 Philip Sorenson teaches writing and literature in Chicago where he lives with his wife, Olivia Cronk, and their daughter. His poetry has appeared in Deluge, Pelt, and Horse Less Review, among others. His first book of poetry, Of Embodies, was published by Rescue Press in 2012. Like an army of flowering stones, Philip Sorenson’s Of Embodies evolves fixed positions into organic movement and marches straight into your open heart. These poems are the body and the text; the temple and a subject of discovery—their urgency manifesting itself in vanishing memory, actively decomposing letters, and what kind of material might survive you. These poems are interested in evidence, exact specimens, and wild living inquiry. 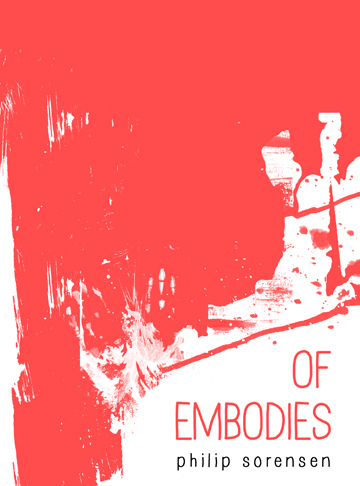 Here there are indications of the inner workings of the earth, upsets, burials, blood, membranes, mouths, and “tongues learning to penetrate a word with the body to lean in and whisper but meaning is a fleeing.” Of Embodies was the Editor’s Choice pick for Rescue Press’ 2011 Black Box Poetry Prize.